Ah! 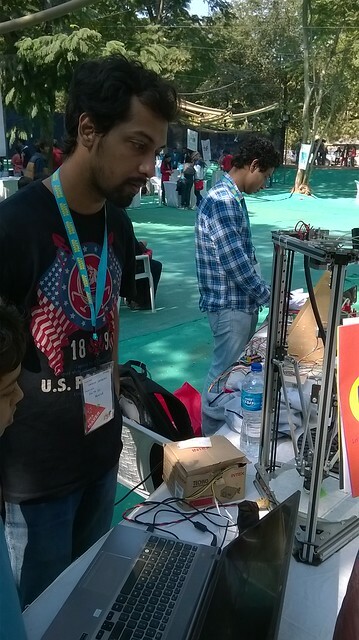 Makerfest 2014 at NID, Ahmedabad was super awesome. When i saw a notification for applications in my feed one fine day. I had to apply. 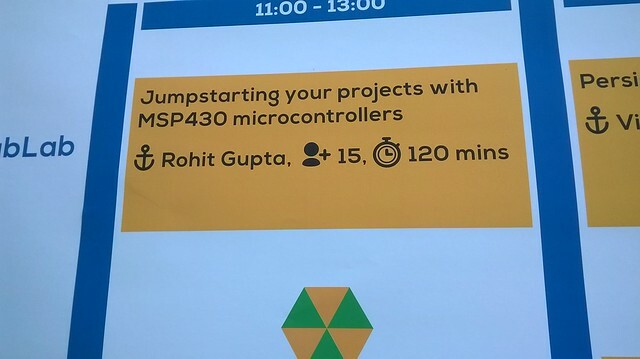 I decided to give a small Getting Started with MSP430 workshop at MakerFest. Plus it would be a great time to refresh some memories( rather taste buds) from last year. Ahmedabad is quite reachable from Pune. It takes about 8-9 hrs by Duronto and 12-13 hours via bus. I decided to go via bus and return with whatever seems convenient. 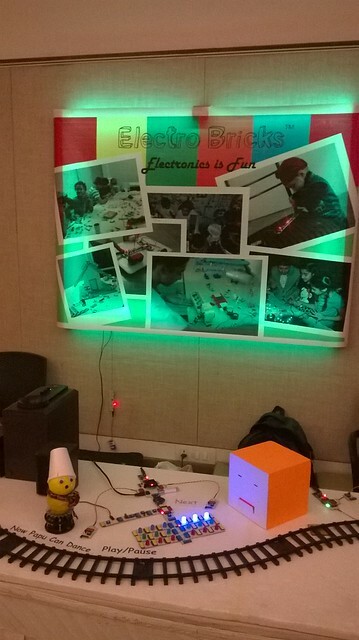 Unlike last year, this time around Makerfest was present at CEPT . 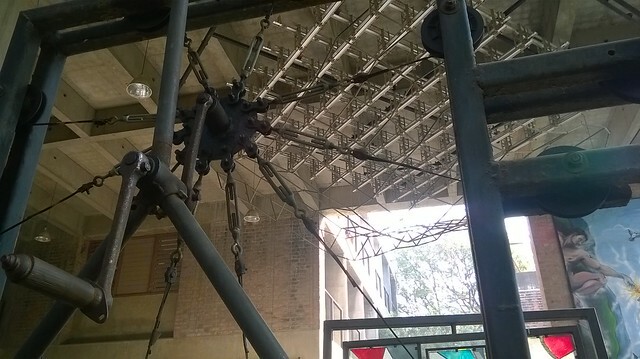 Whenever i got some free time,i did explore the campus which has various installations by students and some funny (rather intriguing) posters . As always, i did reach a day in advance. 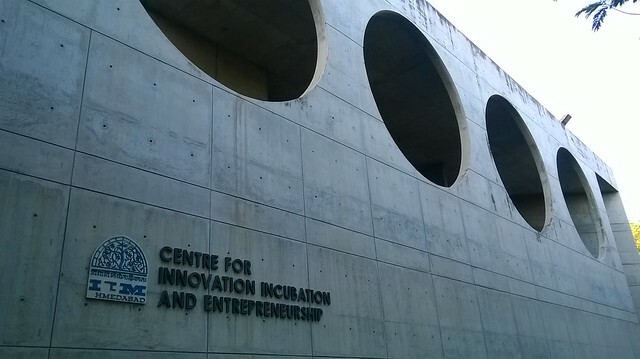 The first (pre) day we had a workshop at IIM - A . My Chaotic bus provider didn’t try hard enough to make it on time and I entered the session with about 25% left. It was a good time to visit the campus though. Somehow we couldn’t find our way exploring the campus on ourselves, So I called my friend Miteshwar who studies here to help us out. Glad he could make out of his busy schedule and give a trip around the beautiful campus. My phone died , and i didn’t click pictures of the old campus. But those of you who have seen 2 states ; Guys, its the same, but seems so great in real! During the kite festival, the city is almost covered with kites and numerous number of kites are given freedom (thread-cut) every moment.They carry with them a meticulously sharpened thread which has caused road accidents and even severed some necks of two-wheeler riders. And I declare MakerFest OPEN ! 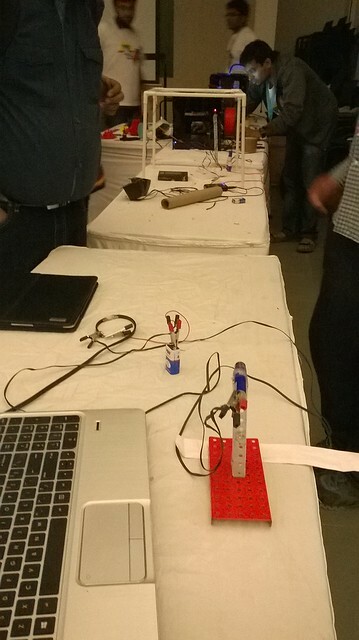 I had my workshop on DAY 1 of the event, where i explained about 10 people, how to get started with MSP430 using the ever-cool Energia . 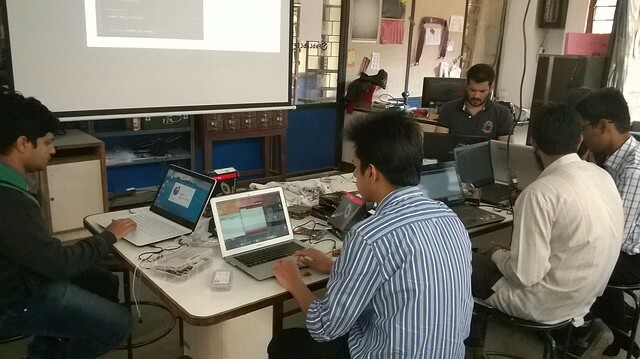 About 10 people attended the workshop. 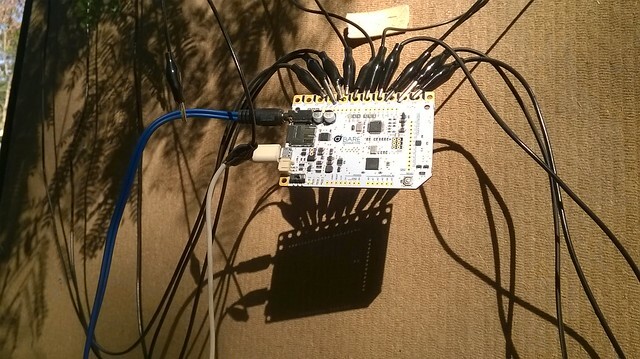 I distributed a getting started kit which had lots of components to test/begin any mcu platform. My workshop took place is FabLab CEPT. It was a good time to explore what equipments they had. 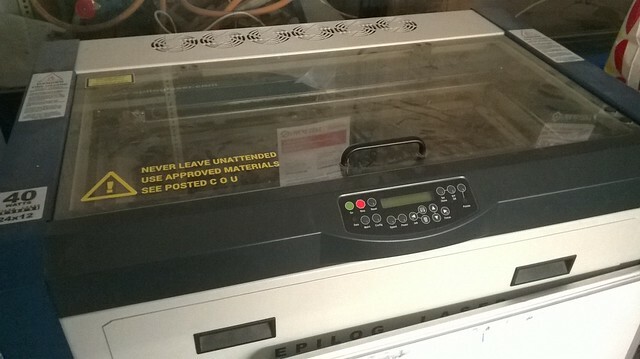 They had a epilog laser cutter, A 3D printer, An ultimaker that was probably being repaired, a FULL SCALE shopbot (Like the one you see in Ben’s videos ) Modella PCB mill, Roland Vinyl Cutter, a reciprocating saw and probably other stuff too. When the workshop got over, i began visiting stalls and questioning (interviewing? eh) people about their product and idea. 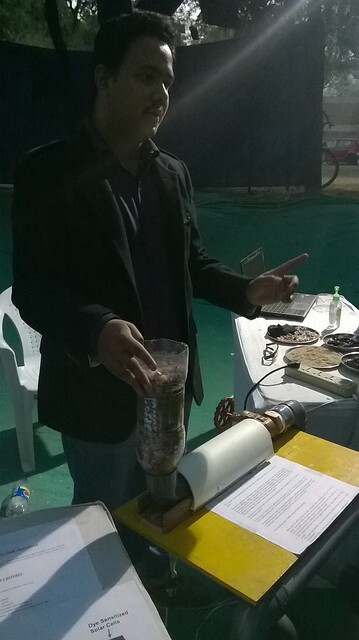 Whats better, i was joined by a friend Sunil Sir from Doo Things, Pune’s very own hackerspace. He is pretty amazing guy with knowledge of almost anything. Together we started visiting the stalls. I got a chance to see what the Google Cardboard is all about. Basically there are two simulataneos images that a combined in your brain to give you an effect of VR. 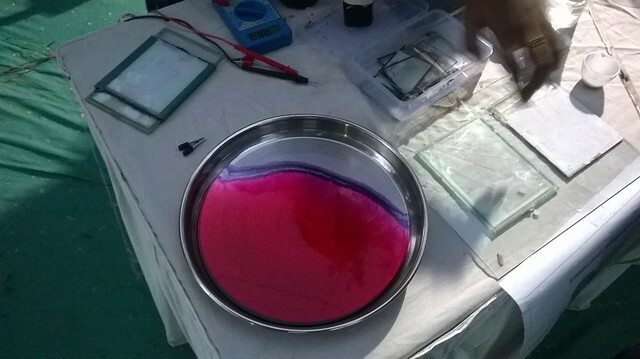 A team from Surat, brought their college innovations of cheap solar cells using touchscreen panels and a scientifically validated water purifier for villages. 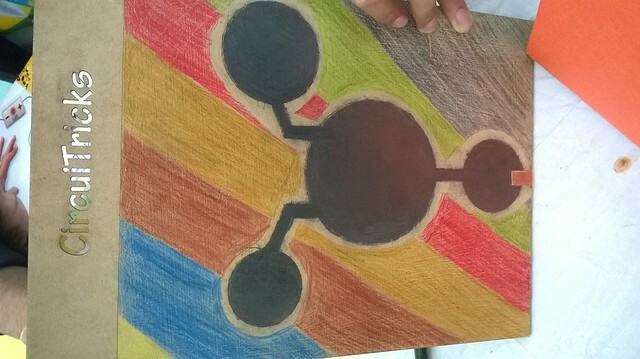 An inventor from Delhi (Missing Delhi) made a cool robot that can be controlled by an Android APP to draw things on the ground.Plus kids can program it in a custom language like Logo which introduces them the basics of programming. He is selling it in probably in a few weeks time. 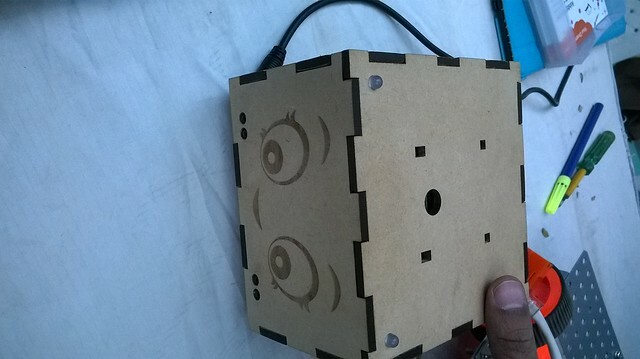 The wheels have encoders to help you get the drawing right and an IR sensor to do any avoidance activity. So, bye bye Turtle, Kids move the Robby ! 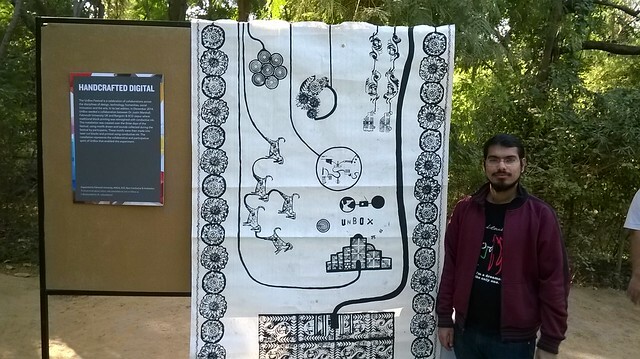 Another Delhiwalla brought this amazing interactive cloth made using Bare Conductive ink and capactive sensing. 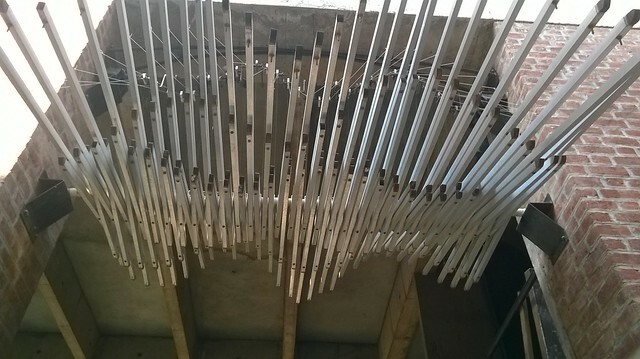 It will play music of the part you touch. So, if you touch a leaf, it plays the sound of crumpled leaves. Cool ! My BYK is startup in Ahmedabad. 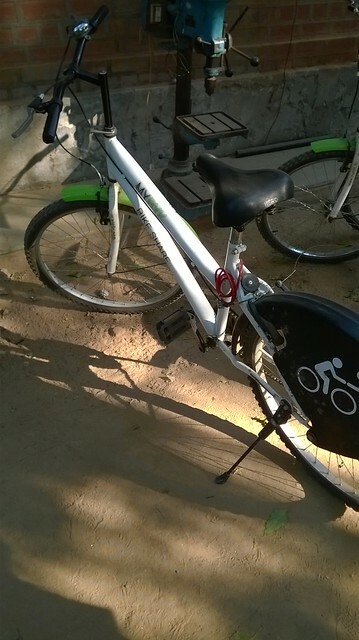 They rent bicycles to anyone to roam around the city in a greener way. They charge a fixed security and a minimal monthly fees that covers the repairs. 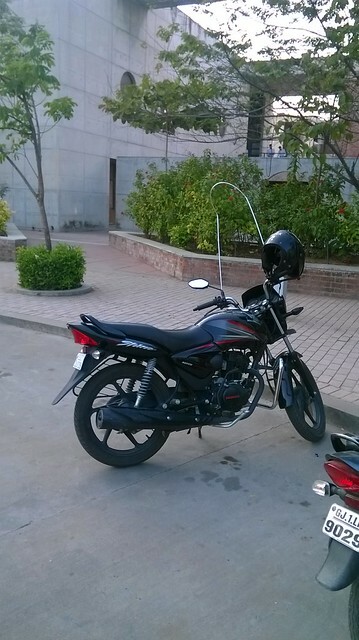 The bikes are equipped with passive RFIDs which help them to track bikes. Please come to PUNE ! Tired we were, So lets call it a day and explore the Food ! Asking for a good tea stall in Ellisbridge area, where our Hotel was, got us to Mehta ‘s which served the best tea in that area. 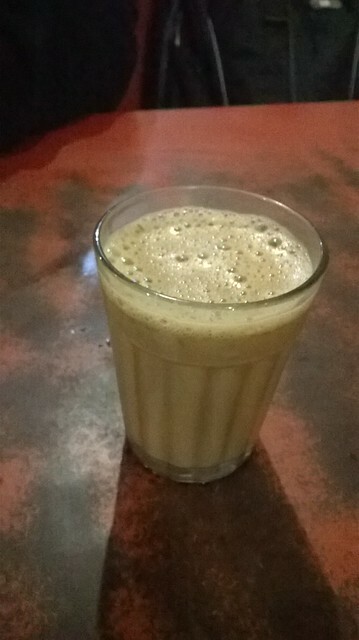 Forget cutting ( tiny cup full of tea, enough to fill your mouth once), this was almost a hybrid of Tea and Lassi. Literally Loaded with Sugar and probably fits into the Haryanavi description of good tea - Pani, Patti rok ke, Doodh, Chini Thok ke ! Battery Low! and we now crashed thinking what next day had in store ! Early Morning, we were joined by friends from Revealing Hour Creations. They had a workshop on their successfully crowd funded Tah board. 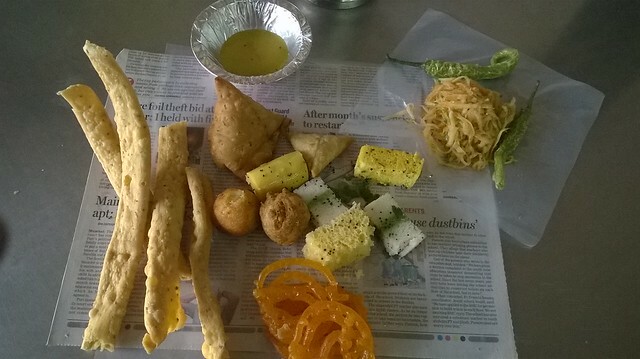 While Sunil, Dhiraj and Vikas continued to CEPT, I wanted to eat Jalebie and Fafda from the shop which (according to me) serves the best in the country-Juna Sharebazaar near Nehru Nagar Circle . So, i took an Auto and went to the place. It looked familier and this is what you get when you say- a bit of everything. I walked my way to CEPT to explore the remaining stalls. 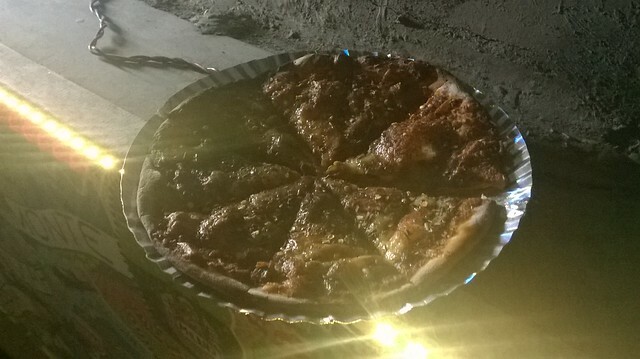 A firecracker Ignitor that lets to burn crackers safely from a distance over bluetooth. 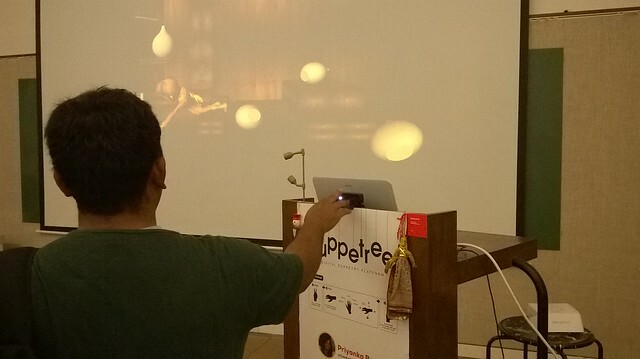 Interactive Puppetry using a kinect type sensor from Creative by Folo. The way you move your fingers is detected and the puppet is moved on the screen. 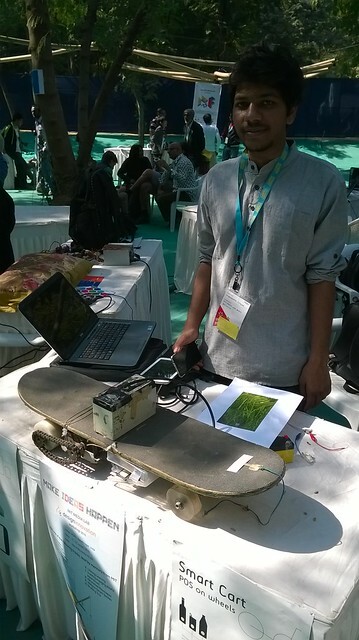 A lot of cool innovations were showcased by MIT Media Labs - India Initiative. This is an electric skate board which has a pressure sensor on the front. The more you press the faster it goes. 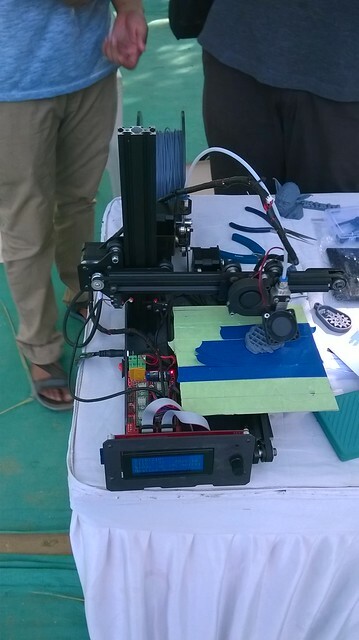 Our friend Varun was present there with his Delta Printer that he has made from scratch. The printer is insanely accurate and fast. Splendid! Apart from that there was a nutella chocolate printer that was printing customised chocolates. 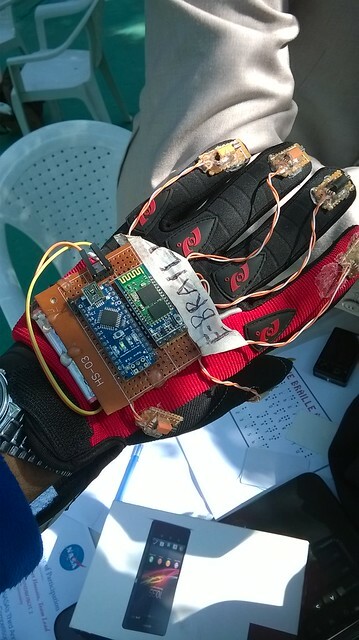 An inventor from Bangladesh came up with an amazing EBraile glove that is a boon to blind. 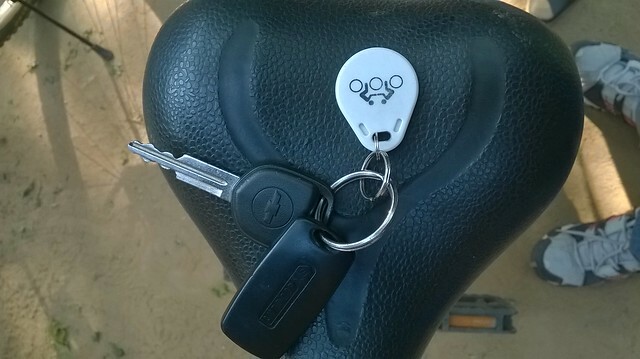 It has a RFID so, people can locate things and a mobile app to train people. Amazing! Meanwhile, i started to explore campus. There was this installation where you have to move the handle and the pattern on the roof changes. 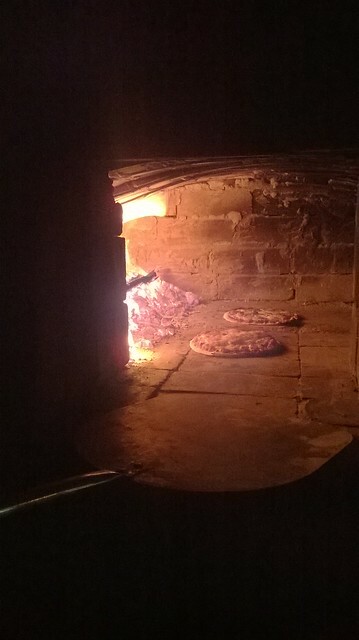 The handle required quite a lot of effort but the effect was visible. Electro bricks showcased a much bigger collection this time. They are making electronics like lego bricks. Add a music brick to a power brick and an amplifier brick and you have your own Music player. 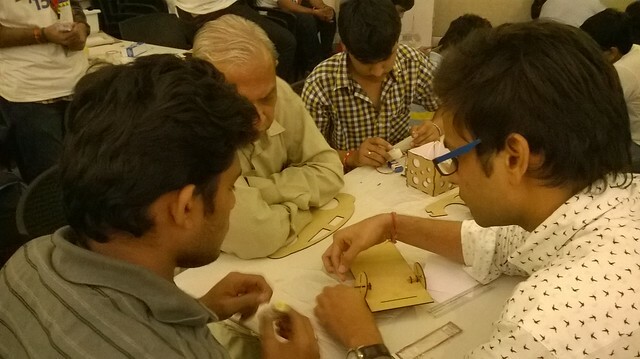 People from all ages bringing out the Maker in them. 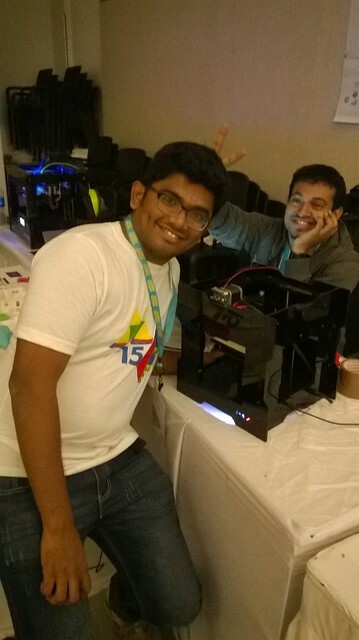 Surendranath from Redd Robotics with his about-to-go-viral printer.Why? Price! 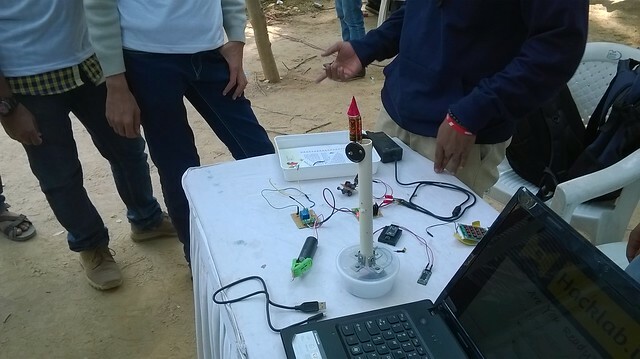 A young inventor from Delhi with his LiFi setup. 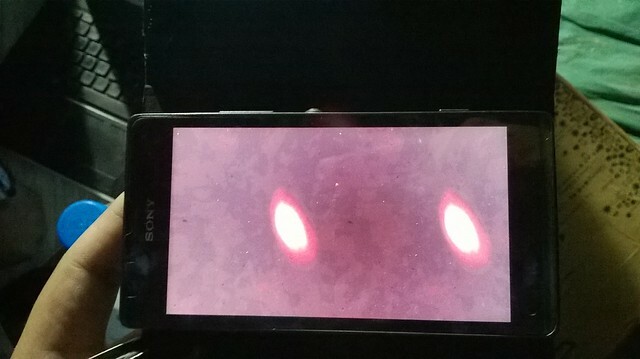 He was streaming audio via laser from his laptop to an LDR which was connected to the speaker and voild music transferred via Light. Circuit Tricks presented their pencil based circuit design idea. They used a 9B pencil to create a conductive path and used that to make circuits. 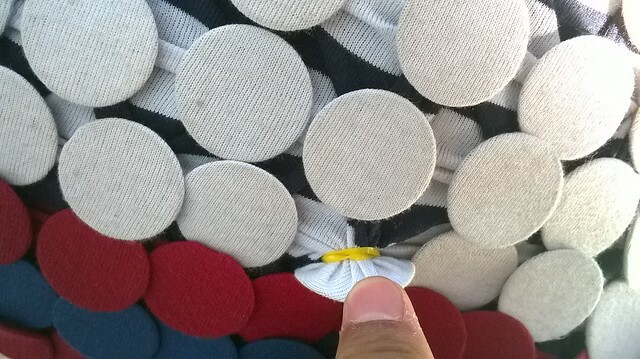 Button Masala from last year came up with a new way to not sew things. Bolt-em up. 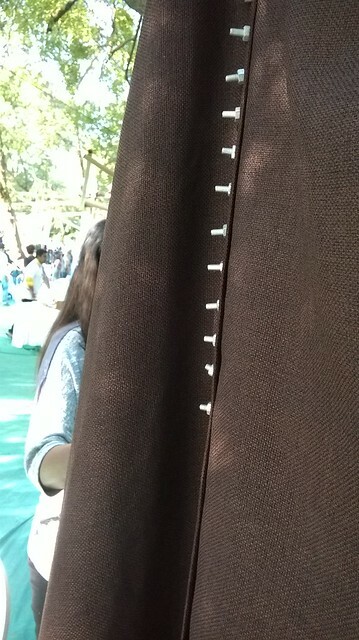 So, you have a fabric and you can bolt them to make whatever you want. Heavy! 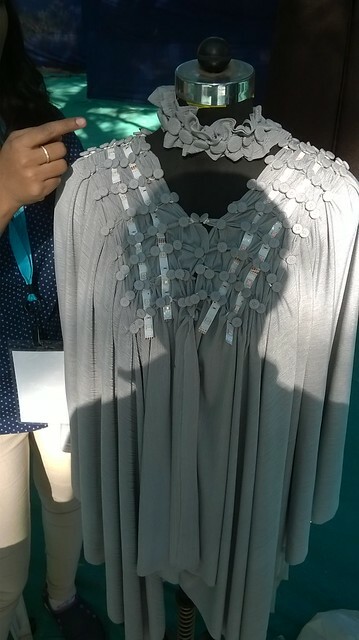 They also had a LED Dress whose color can be changed. 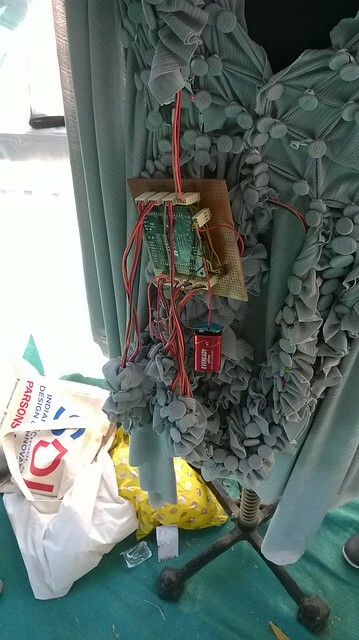 The circuit of the dress. Interested in making anything look like polka dots? Try this. A button and a rubber band and you have your own button dress. 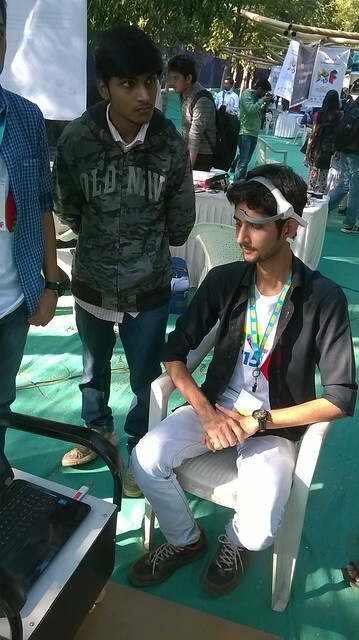 We also had students with mind controlled wheel chairs. 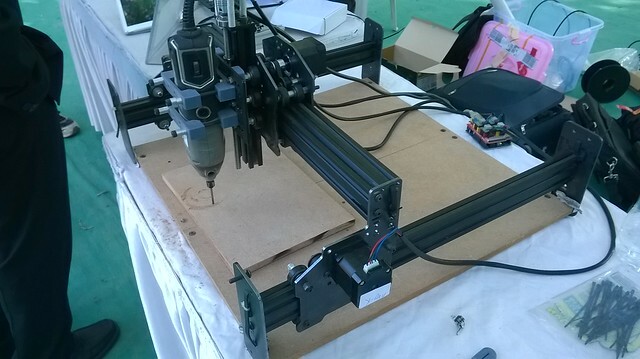 A banglore startup with their Creatorbot CNC and 3D Printer. I also got a chance to see and experience the Oculus Rift , Google Glass and Mind Controlled Things. It was pretty nice experience seeing projects/products. Thanks to Aditi and a awesome team of volunteers who made it possible!